Arong, 50, lives in the Pudacuo National Park in Luorong Village, Jiantang Township, Shangri-La City, Diqing Tibetan Autonomous Prefecture, Yunnan Province. Like other villagers here, Arong still follows the traditional way of farming and grazing. 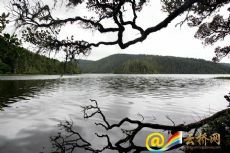 The Pudacuo National Park is home to streams, lakes, wetlands, forests, meadows, valleys and a variety of rare animals and plants. It covers an area of 602 square kilometers with an average elevation of 3,500 meters. Luorong Village was not always like this. There used to be no highways here. Due to the cold and changeable weather, the villagers could not be adequately fed by growing barley and potatoes. To support themselves, some villagers hunted and cut trees for timbres and firewood. "We did not get along with the forestry officials," said Arong. In 1998, Diqing Prefecture announced the ban on cutting of natural forests. Many villagers did not understand the policy. When the forestry officials and rangers talked to them about ecological protection, the villagers thought that they were preventing them from supporting their families. 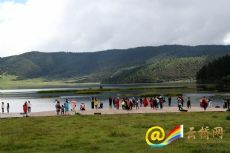 Later, Shudu Lake and Bita Lake became tourist attractions and brought about business opportunities. Some villagers began to offer horse rides and sell food and barbecues to make money. Tourism also increased wastes and the horses damaged the surface vegetation, greatly affecting the ecological systems. 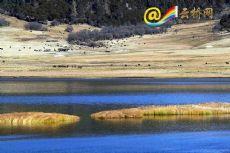 Starting 2006, according to Tang Hua, director of the Pudacuo National Park Administration, the local government began the attempt to build a national park and set up a strictly protected zone, an ecological conservation zone, a recreation and exhibition zone and a traditional utilization zone. "We must stop the projects that damaged the environment, but we must also take into account the people's livelihoods,� said Ding Wendong, head of the Preservation Section of the Pudacuo National Park Administration. Starting 2008, the operating company of the national park began to give money to the surrounding villages for ecological compensation. The compensation contracts are signed every five years. The ecological compensation fund was nearly 10 million yuan per year for the first round and about 20 million yuan for the second round. So far, the ecological compensation funds have reached 150 million yuan. Now besides receiving about 40,000 yuan from the ecological compensation fund, Arong's family members could also act as sanitation workers at the national park. The ecological compensation work has aroused the villagers' awareness of eco-environmental protection. Even when they gather wild mushrooms in the mountains, the villagers act carefully for fear of affecting the ecosystems.